There is nothing that will destroy your entrepreneurial energy, effectiveness and confidence quite like a terrible experience with a client. 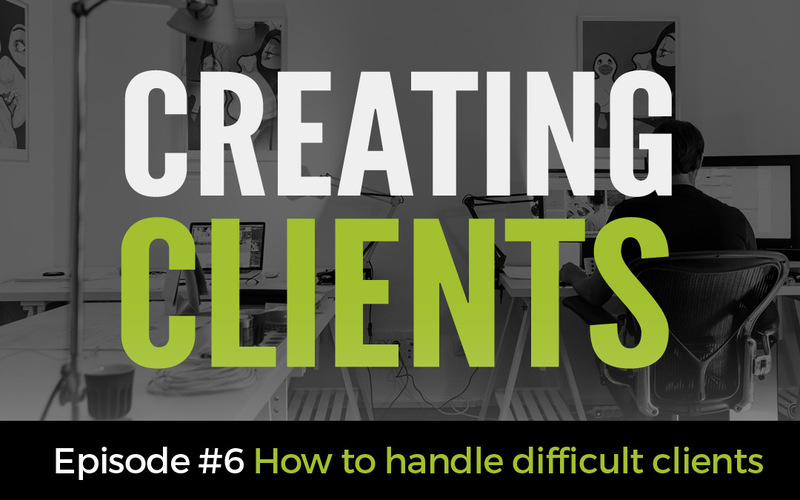 That is why in this episode we have focussed in on how to identify difficult clients and then what you can do about it, that will serve both you and the client in the best way possible. Both Jonathan and I share stories from our experience to help you navigate these problems in your own experience. Please listen, enjoy and If you have any questions, comments or feedback, please send us a comment below. Ps: I want to give a shout out to Cay for asking about these concepts after our last podcast. Your question was the inspiration for this episode!